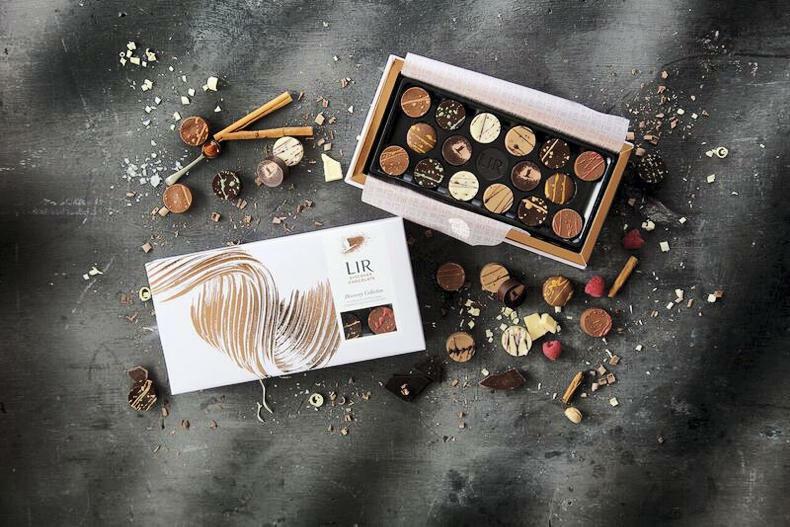 Thanks to a strong culture of innovation, Lir Chocolates has pushed itself to diversify into new markets since the Brexit vote. Lorcan Allen reports. 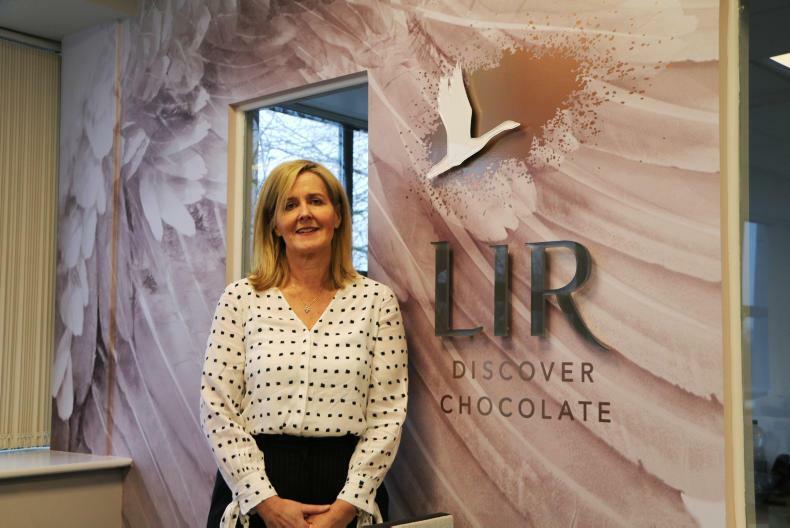 Lir Chocolates managing director Ann Murray. Like many Irish food companies, Lir Chocolates found itself suddenly exposed on Friday 24 June 2016 as the result of the Brexit referendum became clear. The UK had voted to leave. At the time, the sales profile of Lir’s business was heavily reliant on the UK and Ireland, admits Ann Murray, managing director at Lir. “A large part of this business is working as a private label supplier to some of the largest retailers in the UK,” says Murray. “However, we’ve heard and heeded the advice from Government agencies since then about market diversification and we’re now exporting to new markets in Europe and the US. But it’s a slow process to diversify,” she adds. A key piece of research and development (R&D) work carried out by the company with the help of Enterprise Ireland was completed in 2017. This work focused on extending the shelf life of chocolate products and allowed Lir to open up export markets further away, adds Murray. The Navan-based chocolatier has also benefited from its intense focus on innovation and new product development. 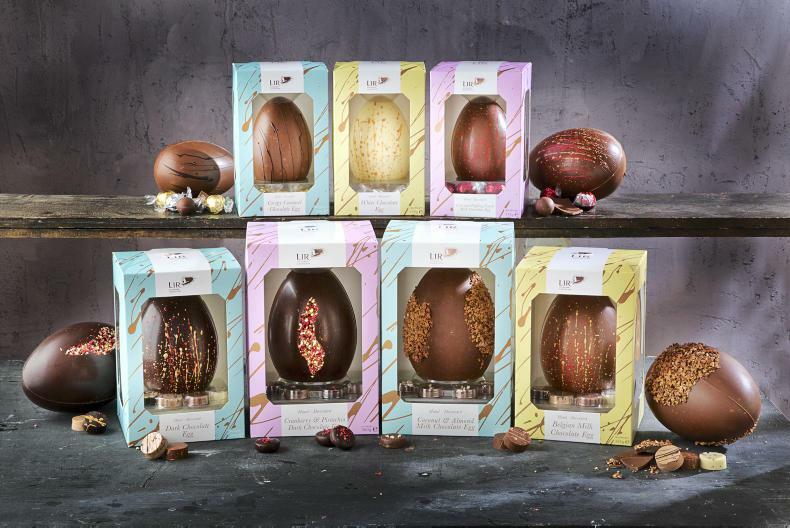 Working as a private-label supplier to the six largest supermarkets in the UK means the company has to continuously develop new collections and ranges of chocolate, especially given the seasonality of making chocolate. There are four principal seasons for a chocolate company: Valentine’s Day, Easter, summer and Christmas. And, just like a fashion house, Lir must innovate its chocolate range three or four times in the year to match each season. This seasonality to making chocolate means Lir must be agile and react quickly to new trends, new seasons and new customer demands. “The lifeblood of this company is innovation. And innovation is driven by R&D,” says Murray. All R&D work is carried out by an in-house team in a kitchen environment. However, Lir works with large multinationals such as Barry Callibaut, the world’s largest cocoa company, and Kerry Group to test new products in their facilities. Interestingly, the Irish market is quite a good testing ground for new ranges because we have a big appetite for chocolate. Aside from its private-label business, Lir has a strong focus on sales of branded chocolate. The company has partnered with Diageo to use the Guinness and Baileys brands under licence and manufacture a range of chocolates under these iconic brand names. “Diageo has been very generous to us with their brands,” says Murray. “And we’ve done a lot of work in terms of using alcohol in chocolate. The Baileys truffle has been our signature product for more than 10 years now. Baileys is just a natural marriage with chocolate,” she adds. The inherent drive for new product development at Lir meant it was always going to be able to adapt and diversify into new markets post-Brexit. However, there are still nuances to developing chocolate products that will be successful in new markets. For example, European consumers typically prefer a darker chocolate. On top of this, it is more expensive to do business in these markets, says Murray. “In the last three years we have diversified and our strongest growth is coming from outside the UK and Ireland. There’s definitely opportunity out there but it does come at a cost. It’s more expensive to access those markets and it requires more resources,” she says. Operating profits at the northwest based co-op fell 22.5% to €3m last year. This is despite turnover increasing 4.1% to €443.8m in 2018. Margins weakened from 0.9% to a thin 0.7% last year. The main reason for weaker performance was a result of supporting milk prices during the year due to challenging dairy market dynamics and a challenging year for its mart business. It was another record year for milk processing where Aurivo processed 7.8% more milk bringing total milk processed to 439m litres. Most of this growth was from existing suppliers expanding while there were 11 new entrants and five suppliers started second enterprises, according to Aurivo CEO Aaron Forde. Commenting on the financial performance in 2018, Forde said on-farm milk prices were supported to the tune of 0.5c/litre or €2m during the year and that Aurivo delivered a satisfactory outturn for 2018 in the context of challenging global dairy markets. He added that in a year marked by ongoing volatility in global dairy markets, financial performance for the year was robust and in line with expectations. He added that the uncertainties and implications of Brexit pose significant challenges to the sector. Given that 17% of Aurivo’s milk pool is in Northern Ireland, a hard Brexit does pose a challenge for the co-op. Given that there is not enough processing capacity in the north, this milk will need to move south for processing. Forde says they are looking at options around inward processing relief which would allow the milk come in effectively tariff-free once dairy powders were being re-exported. Last year, Aurivo had expressed an interest in merging with LacPatrick. Forde said that the co-op was open to talks with other co-ops, whether that was merging, cooperations around processing or synergies on transport. Its dairy ingredients division, which accounts for 35% of the overall business, saw sales rise 7% to €153m. The co-op is heavily weighted towards liquid milk and processed 112m litres of liquid milk last year. Turnover remained steady for the consumer business at €98.8m. The co-op’s For Goodness Shakes brand reported a strong year of growth with sales up 20%. It does not disclose profits for this business, which is based in the UK. However, Forde said it does contribute to the bottom line. The co-op said its milk brands, Connacht Gold and Donegal Creameries, performed well. Its agribusiness division recorded an 18% rise in sales to €120.7m. This was mainly driven by an increase in feed and fertiliser volumes. Homeland store sales were up 15% on the previous year while fertiliser volumes increased 16%. It was an extremely challenging year for Aurivo’s livestock marts. Turnover fell 13% to €71m as less animals were put through its marts as a result of closing the marts for two weeks during storm Emma, along with an incident in Mohill which resulted in a substantial investment to facilitate enhanced safety at all its marts. The business is budgeted to recover in 2019. Operating expenses increased €4m mainly as a result of increased transport costs relating to the larger volumes of milk collected. Overall earnings (EBITDA) fell 12.3% to €7.9m. Net debt increased €9m to €14.6m. The business had a net debt 1.8 times its earnings at year end which is within a comfortable level. The main reason for the increase in net debt was down to capital investments of €22m which was part of a new five-year €48m capital investment programme. The majority of this (€26m) is earmarked for a new dryer in Ballaghaderreen. This will be the largest investment project undertaken by the co-op in its history. It will see production capacity at the site increase by 5t per hour. The investment in this dryer will provide enough capacity for the next seven to eight years of growth, according to Forde. Total site capacity will now be 14t/hr. This dryer will mainly manufacture enriched milk powders. The business is also investing €6m at Killygordan to improve processing efficiency along with a €1.5m investment in its mill. Aurivo suffered a paper loss of €8m on the value of its quoted investments (mainly Aryzta shares). This paper loss on its quoted shares saw the business record a pre-tax net loss of €5.8m. Overall, shareholders equity on the balance sheet fell by €1.7m to €62m at year end compared to the prior year. Total assets on the balance sheet amounted to €86m at year end. Intangibles such as goodwill, brand value and customer relationships make up €37m or 43%. Tangible assets (land, buildings, machinery and plant) accounts for €41m of assets or almost 50%. The co-op has €3.5m in investment properties. During the year, there has been a deterioration in the working capital position on the balance sheet. At year end, stock increased by a third to €23m. Despite the increase in turnover, debtors decreased €3m. Cash at hand reduced by €7m. Creditors falling due within one year increased by €24m. Trade creditors increased €8m while the overdraft also increased €8m. Bank loans relating to capex and falling due within one year increased €7m to €13m. However, a note in the accounts explains that the loan agreements relating to the year-end balance sheet were renegotiated on 4 January. This saw this €13m put out over the next five years with €2m relating to last year. Overall this was a weaker set of results for Aurivo and the balance sheet has deteriorated over the year. While there is a major capital investment programme taking place, margins are extremely thin in this business – a factor of milk price supports as a result of weaker markets during the year. The deterioration in working capital on the balance sheet is a concern. However, earnings should increase in 2019 which would strengthen the balance sheet. Overall net debt is low relative to earnings. With intangibles making up a large proportion of total assets on the balance sheet (relate mainly to the Donegal and For Goodness Shakes business), it is important that these businesses continue to generate profitability. The latter end of the year was a challenge for processors last year when butter and bulk cream prices plummeted. Of course, being a co-op it did support the milk price last year to the tune of €2m or 0.5c/l. However, the capacity to do this is limited over the longer period. 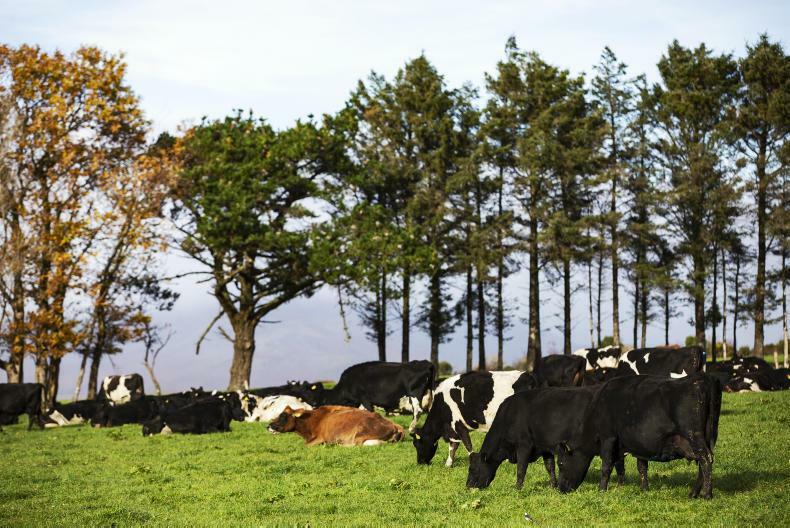 It is encouraging to see Aurivo’s five-year plan which has the stated ambition to process 500m litres of milk, achieve 2% earnings before interest and tax and deliver a 45% uplift in shareholders’ funds. 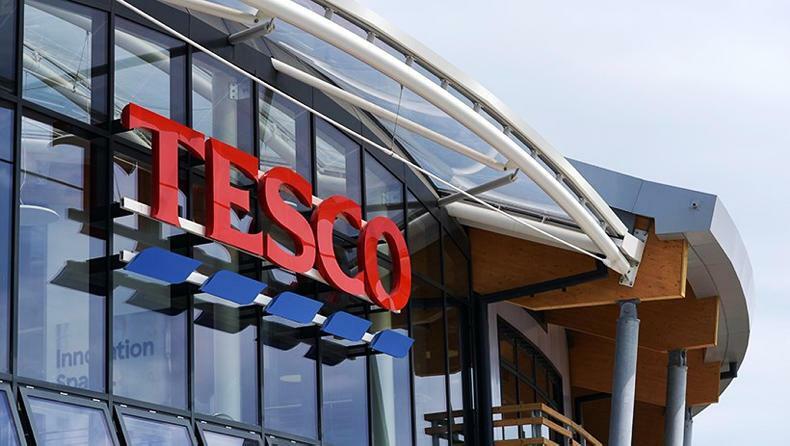 Shares in UK supermarket giant Tesco have risen more than 5% this week, after the retailer reported very strong results for its 2018 financial year. On Wednesday this week, Tesco reported a 34% increase in full-year operating profit to £2.2bn (€2.6bn). Operating profit margins in the business soared to a very healthy 3.5%, a level not seen in years since Tesco was at the height of its pomp with almost 40% of the UK grocery market. Tesco said profit margins in the second half of the year were closer to 4%. Group sales for Tesco increased almost 12% year on year to £57bn (€66bn). Meanwhile, shares in Kerry Group are up almost 2% this week to just over €98, while Greencore shares are also up 2% in the week to £2.09. Glanbia shares lifted 1% this week to €17.60. Aside from these examples, it has generally been a difficult week on equity markets, with share prices in a host of companies falling. The continuing uncertainty around Brexit is certainly not helping to ease investor fears. Shares in FBD Insurance have fallen 4% in the last week to €8.80, while shares in Aryzta, the speciality bakery giant, are down almost 7% to €1.15. Following last week’s jump, shares in Donegal Investment Group have traded down in recent days to €9.40. Meanwhile, shares in fruit and vegetable giant Total Produce are down almost 5% this week at €1.64. Shares in agri-services group Origin Enterprises fell more than 1% this week to €5.27, while IPL Plastics shares are down 4% to C$10.25. On oil markets, the price of Brent crude oil has shown some upward movement in the last two weeks and is currently trading close to $71/barrel. Despite the challenging weather conditions last year, milk volumes at Dairygold increased by 2.7% to 1.34bn litres in 2018. This brings milk volume growth over the last 10 years to 60% or 500m litres, while milk solids have increased 70% over the period. There is no sign of the growth abating anytime soon, with Dairygold milk suppliers planning to produce an extra 300m litres over the next five years bringing its total milk pool to 1.65m litres by 2023. That would see Dairygold’s milk pool almost double in size over the 10-year period. 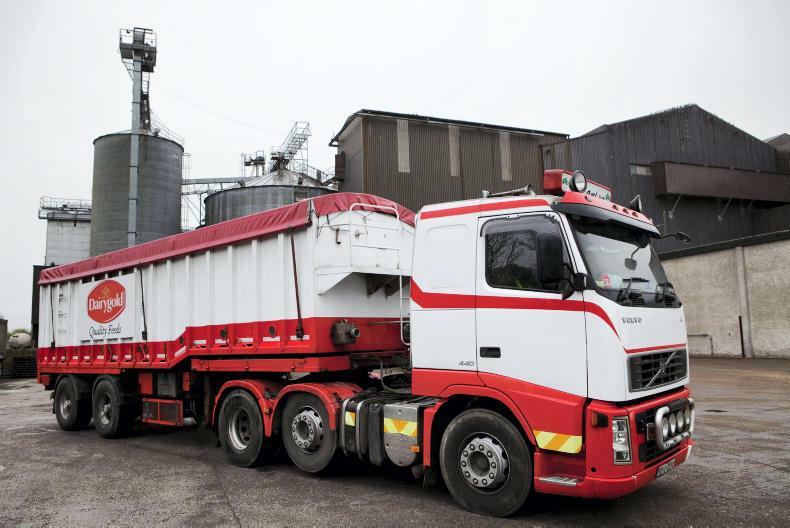 What makes Dairygold somewhat different is not only the scale of the growth but that it has mainly been from existing suppliers with no sight of any mergers in the near future either. Jim Woulfe, who has led the co-op for the past 10 years, along with the board who had the challenge of ensuring there was enough processing capacity to meet the demands of the co-op’s farmers. In order to do this, the business has invested almost €190m over the last five years and it is committing a further €130m over the next two years, bringing the total investment to more than €300m since 2012. This has been no small feat, Dairygold has been astute with its more recent investments – partnering with the Norwegian cheese business, Tine at Mogeely and its supply contract with Ornua’s Kerrygold facility in Mitchelstown. It has seen these partners invest €120m in value added equipment, while Dairygold provides the facility services and attains a direct market for its milk. So, as the wall of milk continues to flow it is a very effective use of capital that makes a return for the co-op and allows it to invest in stainless steel to process the extra milk. However, this continued demand to meet farmers processing needs looks set to reopen one of the more controversial aspects of Dairygold’s expansion post-quota. That is the funding model and who finances it. It will again raise the question of whether the business or the members or even a hybrid model should stump up the cash to fund any future growth this time round. Operating profits fell 11% (€3.5m) to €28.9m last year at Dairygold as a direct result of supporting the milk and grain price to the tune of €15m last year. Turnover increased 2.8% (€27.4m) to €992.9m. This was due to a reduction in protein product prices and lower cheese and butter returns. As a result, operating margins fell from 3.4% to 2.9%. Profit after tax more than halved and was down €12m to €9.2m. Its food ingredients business had sales of €569m last year. Its overseas business, which includes a cheese formatting business in the UK and Germany, recorded sales of €156m. The agribusiness recorded sales of €262m, up €40m on the prior year. Retail sales increased 6%, while feed sales increased 40%. Grain harvest volumes were down circa 40%. However, the grain price paid to farmers was around 40% higher than the 2017 harvest. The co-op generated €48.6m in cash (EBITDA) last year – down €4.2m on the prior year as a result of the lower returns. Bank debt at year end increased from €31.8m to €111.4m, driven by investment in the business of €58.7m during the year. Although net debt to earnings has increased from 1.5 times in 2017 to 2.28 times today, the co-op maintains this is satisfactory. Despite generating almost €49m in cash, the net asset value of the business (shareholders equity) only increased by €2.4m to €338m. This was mainly as a result of a paper loss of almost €15m relating to the fall in value of its shareholding in Aryzta and IPL Plastics (One51). Overall the portfolio lost 40% of its value during the year as it progressed through a planned divestment strategy of its Aryzta and IPL shareholdings. Over the last 10 years, Dairygold has disposed of around 70% of its holding in Aryzta and at year end it held a total of €20m in quoted stocks. In the last two years, the co-op has sold €15m worth of its Aryzta and IPL shares and has reinvested this money through a managed fund into a more diversified portfolio of shares. The co-op also has a property portfolio, valued at €51m, which it inherited from its Reox spin off. Earlier this year, it sold its Trinity quarter property for €17m to UCC. The co-op’s strategy around these non-core assets is to maximise value and divest over time. A future consideration for the next phase of processing investment has to be the funding model and who finances it, the society and/or the members. Dairygold introduced members funding six years ago. The background to this was a different Dairygold to today. It was over-borrowed with debts of some €80m – almost five times earnings, while the balance sheet was €220m. Today bank debt is marginally higher – €110m but it is only 2.8 times earnings while the milk pool is 60% larger and the balance sheet is a third larger. The Dairygold expansion programme was questioned at the time, mainly because of the funding model. The plan was to move processing capacity from 29m litres/week to 53m litres/week by 2020. The funding plan was to invest €225m, with €50m funded by members and €175m from bank debts and cashflow. There were four member funding mechanisms – an optional loan note; a revolving fund; a minimum shareholding and; deferred payment (which was never introduced). Since 2013, the co-op has received €23m from members, with €20m coming from the revolving fund and almost €3m in loan notes. These loan notes started to be returned last year in full and all investments will be returned by the end of 2020. The voluntary loan notes were for five years, where investors received an interest rate of 4% (on top of the three-month Euribor rate) annually. The revolving fund was compulsory and saw members make 60 contributions of 0.5cpl per month (once price at or above 27c/l) over seven years between 2013 to 2019 and the money is repaid in full with interest of 2.5% (on top of the Euribor rate) annually . The repayments are due to start in 2020. Since 2013, all milk suppliers have also been required to buy and maintain a minimum shareholding in the co-op of 4c/l of supply (4,000 shares per 100,000 litres of milk supply). Since then members have purchased almost €12m shares in the co-op, while Dairygold has redeemed almost €9m shares mainly from retired members. A typical milk supplier with 300,000 litres of milk in 2011, who was to expand by 60% to 500,000 litres by 2020, would be required to invest €6,000 into a revolving fund over seven years and also increase their shareholding by around €8,000. They will receive back in excess of €7,000 from the revolving fund including interest over the next five years. Dairygold has delivered on what it said it would do. There will be years where profits will dip or rise. This is the nature of the co-op model and its ability to flex margins to support milk prices. Dairygold must be commended for the simplicity of its model and the transparency around its numbers. The bottom line for farmers is the milk price and a processor that is not draining its resources to pay it. Once the expansion phase is done Dairygold will have allowed farmers effectively double in size. Yes farmers financed some of this at co-op level but they received a solid return on the money invested. The next phase of investment needs to ask how additional value can be added to the milk.